Davi Millsaps wasn't given much of a chance to win this event a year ago. He hadn't raced since May of 2013, and was debuting with a new bike and team (Monster Energy Kawasaki). Then he went out and won the overall, taking advantage of Trey Canard's crashes in the final moto. "I don't think it was expected by anyone, not even my team or myself. I was just coming out here to get my feet wet again and just get a gauge for A1," he said after the race. Unfortunately for Millsaps, that was the highlight of his brief stint with the team. In April, the team terminated his contract and Millsaps missed the rest of the season. Scooped up by BTOSports.com KTM in August, Millsaps made his debut with the team at the MXGP of USA at Glen Helen in September. Not many expected Millsaps to contend at that event, but this race is a different story. Millsaps will be running the gold #1 plate this weekend. How will he do in his supercross debut with the team? As Jason Weigandt pointed out earlier this week, Red Bull Straight Rhythm is a race tailor-made for James Stewart's skill set. Still, James himself wasn't sure what to expect. Any rider returning from a long layoff can't make predictions until he gets in a few gate drops, so, as with RBSR, this race isn't the end all be all for James. Yes, it would be nice to win again, but his main goal is supercross 2016 and these off-season races are just preparation for that. "We've got next weekend [Monster Energy Cup] to use that as a preparation, and we've got Bercy and Australia for some more, and then we get to Anaheim," Stewart says. "I know we'll [Malcolm Stewart] both be fired up by then." Like Straight Rhythm, this race is perfect for a racer that's involuntarily taken a year off. The short races will factor in speed more than fitness. Stewart is among the favorites, but can he make it back-to-back wins? Ryan Dungey will certainly enter the 2015 edition of the Monster Energy Cup with more intensity and focus than a year ago. Last October, Dungey was coming off another trip to the Motocross of Nations—his sixth straight—and was planning his wedding to his now wife, Lindsay. This year, Dungey took a break from racing the MXoN, took a vacation, and has only recently begun to ride and test again. If you watched last weekend's Straight Rhythm race, you saw that Dungey was bringing the heat. Don't expect him to repeat last year's quiet 8-5-3 performance at this race. Justin Barcia has been running full steam since the Lucas Oil Pro Motocross season finale ended more than a month ago. "I've been full-bore training every day, riding my dirt bike, and riding supercross every day, and I feel like we have a really good setting right now," Barcia said in a recent interview with Supercrosslive.com. Directly after the season, Barcia rode for Team USA at the Motocross of Nations, winning the MX1 Class while the team finished second. Despite the loss, Barcia appears highly motivated to win this weekend, even testing on an elevated start at the JGR practice facility in North Carolina. "We built an elevated start here at our JGR testing facility, and we have been working hard on them. We've been practicing everything, though. Like I said, you have to work on your sprints and all of the little things that go into this race." (You can read the entire interview here.) Barcia won this event in 2012. Can he do it again? Trey Canard doesn't enter the Monster Energy Cup with as much momentum as he did a year ago, when he had won four of the last five motos in Lucas Oil Pro Motocross, and then came painstakingly close to the Monster Million. In his first-ever MEC last year, Canard swept the first two main events with ease, but lost his chance at the grand prize after making contact with Millsaps' rear tire in a dry and slippery sweeper. Canard then missed out on the overall when he crashed again, pushing him back to third overall. Canard suffered a broken arm at the Detroit Supercross this year, and admitted he was going to ease himself back into racing. Yet, he was still very fast in the final 450 Nationals, even contending for podiums on occasion. Momentum may not be swinging his way, but it certainly wasn't for Millsaps a year ago either. Chad Reed had to pull the plug on his team—Discount Tire/TwoTwo Motorsports—in late June, and since then rumors of a return to Yamaha have followed him. Chad eventually started posting photos of a Yamaha on his Instagram account, further fueling the fire. Well, as of Thursday, no one was quite sure if he was going to be able to race the Monster Energy Cup or not. At the AIMExpo, Yamaha confirmed that Chad would ride this weekend, but plans for 2016 have not been finalized. Reed enjoyed tremendous success with the brand, and it would seem fitting that he would end his career—whenever that may be—with them. He'll race on blue this Saturday. From there we'll see how it plays out. Christophe Pourcel's silky smooth style and supercross just seem to fit. A two-time Lites champion, Pourcel hasn't raced supercross in America since winning the 2010 250SX East Region title, and he has never raced on a 450. That changes this weekend, as Pourcel will be able to use the event to get valuable seat time on the 2016 Husqvarna for a full return in Monster Energy Supercross in 2016. 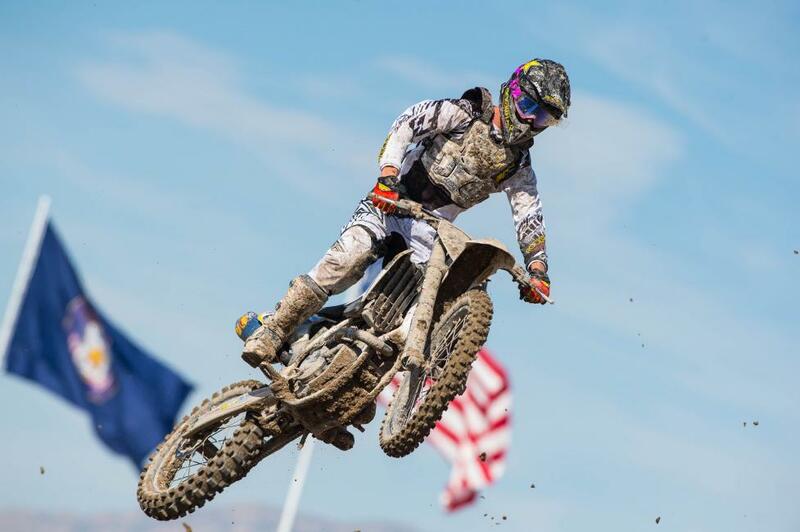 Pourcel was expected to debut the new Husky alongside Rockstar Energy Racing teammate Jason Anderson at the USGP at Glen Helen in September, but decided to pull out due to a rib injury sustained in a crash at Unadilla. How will Pourcel do in his return to SX? This was expected to be Ken Roczen's year. The German, stylish, with a kind of flair that doesn't come around every corner, was expected to supplant the departed Ryan Villopoto. Roczen led the voting on this website as the next Monster Energy Supercross Champion. In the beginning, it was all going according to plan, as he won two of the first three rounds. 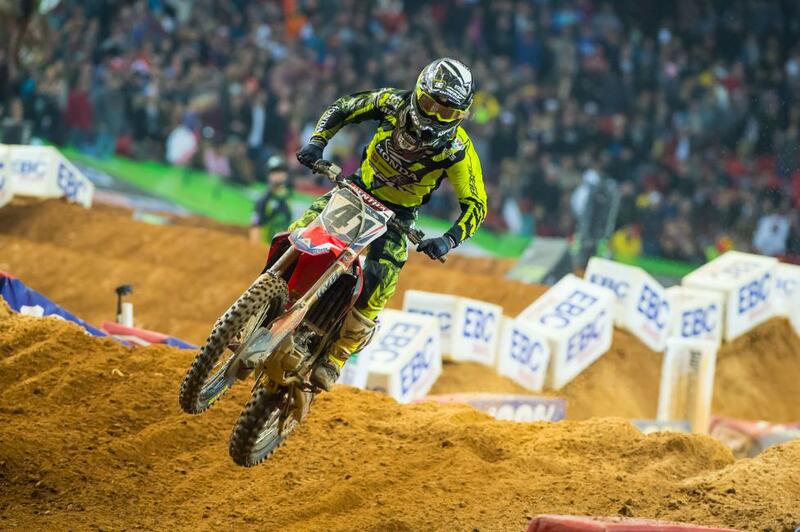 Then, a crash in Oakland, and another in Atlanta sidelined him for the rest of the supercross season. A back injury left him with little chance of defending his 450MX title, and soon former teammate Ryan Dungey had his second title of the season. Roczen looked re-energized at the last round of Lucas Oil Pro Motocross—winning a moto. He underwent back surgery after the season, and brought intensity to Red Bull Straight Rhythm a week ago, before eventually losing to James Stewart in the finals. Roczen gets a re-start to his season, and can build momentum with a win this weekend. How will he perform? Two of the last three winners of the Amateur All-Stars event have gone on to win Supercross Rookie of the Year honors. Aaron Plessinger, last year's winner, joined Yamalube/Star Racing teammate Cooper Webb, the 2012 winner, as a ROY recipient this year (2013 winner RJ Hampshire has gone on to success with GEICO Honda). This year's event packs Monster Energy Team Green Kawasaki's Austin Forkner, twice a winner in the Super Mini Class, in his Amateur All-Stars debut this weekend. Forkner agreed to a multi-year deal with Monster Energy/Pro Circuit Kawasaki earlier this year, his future set. So is the future of one of his main competitors, Chase Sexton, who joins a long list of GEICO Honda signees. Sexton told us earlier this week that he will ride within his limits this weekend: "I don't ride over my head, and especially not there because that track could bite you." While Sexton and Forkner headline the event, the class is stacked with talent like GEICO Honda's Tristan Charboneau, Ryan Surratt, Mitchell Harrison, TLD's Sean Cantrell, and a host of others. This, along with the Super Mini Class, is always an eye-popping race. Ah, Joker Lane. Love it or hate it, it provides its own set of intrigue and challenges—and typically causes havoc. It cost Ryan Dungey and Ryan Villopoto in 2013, as both forgot to take it. This year, the Ricky Carmichael-designed course offers more twists and turns. For the first time since 2011, the race will actually start inside Sam Boyd Stadium, as the start will be elevated nearly twelve feet. Red Bull Straight Rhythm also featured an elevated start, but that was just two riders, not a full gate. "I'm really excited about this year's track design, and feel it is quite a bit different than any before it," said Carmichael in a recent press release. "Of course, the elevated start is going to be cool to see and I like that it is back inside the stadium for this year. I'm very pleased with the track, but just as much I'm excited for the racing this year." How will the start and Joker Lane come into play?